Reach Your Goals and Never Look Back! Jen K. lost over 90 Pounds! “I have crushed it with nutrition, strength training and no cardio at all. I feel great and I’m not looking back! –Jen K.
Dee Dee C. lost over 250 pounds in 2 years! Dee Dee was on medication for diabetes, high blood pressure, high cholesterol and was about to undergo kidney dialysis. Today, after changing her lifestyle and losing OVER 250 POUNDS, she is prescription-drug free! “Your words of encouragement and daily exercise/nutrition plans helped me achieve so much! Your accountability system and lifestyle recommendations kept me focused……Mark, you and My Fitness Hut were a saving grace. Thank you so much!” —Dee Dee C.
Alison S. lost 50 pounds! Nicki C. lost over 63 pounds! Need to lose major pounds? Check out Nicki…she has started her lifestyle and transformation journey. 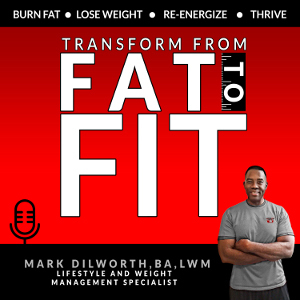 “Mark, I was so frustrated with past weight loss failures. Your body transformation training methods have started me on the right path and I am going to continue on!” –Nicki C.
Click Here to Get Started Transforming your body FREE! I will help you assess your goals and give you a personalized plan to get there. The guessing games are over. Its time to start doing the things that work to get you lean and fit! There are no complicated diets to follow. You will develop eating habits and healthy practices you can maintain for a lifetime, such as adding whole, natural foods to your menu that you like. You are more likely to stay with a menu loaded with foods you like. At the same time, you will be replacing the foods that make you fat and unhealthy. This eliminates foods in a box or bag and processed foods. I will give you the exercise programs to achieve major body transformation. You will be a weight loss maintainer for life. Ramp up your workout intensity to burn more fat and improve weight loss results. Quality workouts, and not time spent, are the key to fat loss and weight loss success. You have to eat enough of the right foods (whole, natural foods), all the time, for your body to work properly. Whether exercising, working, walking or just plain living. Keeping your body in an anabolic state all the time aids your metabolism, muscle-building, body repair, weight loss and overall long-term health. What does “anabolic state” mean? When your body is in an anabolic state, the metabolic processes which build up body tissues, such as muscle growth, are working properly. Live In Your Best Body Ever! You deserve to get the best body of your dreams. But, it won’t happen by chance. You have to take the right steps! I will help you get there. I lost over 50 pounds! Me overweight? Yes, over 50 pounds overweight when I had a desk job and I had become too inactive! I encourage clients and readers to make lifestyle changes that lead to better long-term health, which includes acceptable body fat and ideal body weight. I DO NOT recommend fad diets, quick weight loss gimmicks, starvation diets, weight loss pills, fat burner supplements and the like.